Home / Blog / Shipping Blog / eCommerce Shipping Trends / How 3PL Logistics Can Fulfill Your Amazon Orders More Efficiently? How 3PL Logistics Can Fulfill Your Amazon Orders More Efficiently? Selling on Amazon has its perks. But that also includes high shipping costs for your products. Not anymore! 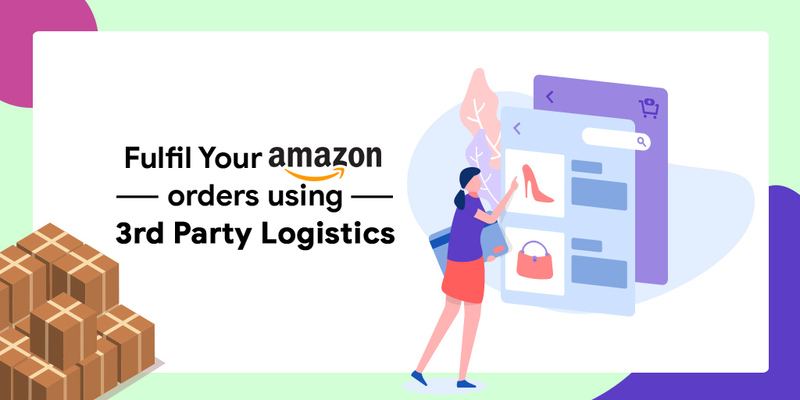 Use Shiprocket as a 3rd party logistics to ship your Amazon orders at the lowest costs along with plenty of other benefits. Amazon is undoubtedly the most sought after marketplaces for selling products. It has its reputation among the customers, one of the largest buyer bases and product pages that rank the highest in search engines.I’m sure as a seller, you will find Amazon as an irresistible marketplace that can help you sell your products like never before. However, selling on a marketplace as Amazon has its pros and cons. Your eCommerce sales may increase and so might your business costs. The extensive customer reach and ranking of your product pages comes at a price of high selling fee and shipping costs. Shipping via marketplaces such as Amazon is definitely costing you more and reducing your profit margins, whether you realize it or not. Amazon offers three modes of shipping. Its premier fulfillment mode is FBA or Fulfilled by Amazon. In FBA, Amazon takes care of your warehousing, packaging, handling, and shipping. However, it also involves a significant amount of selling fee. Other fulfillment options by Amazon include Amazon easy ship where you can ship via Amazon’s logistics network and Amazon self-ship where you can deliver your orders via any logistics partner that you desire. For small sellers, Amazon self-ship might be the best option since it gives a lot of flexibility to manage a business and fulfill orders as per your desires. But remember that shipping via FBA or easy ship is not the only shipping option! It’s time that you opt for Amazon’s self-ship fulfillment mode and utilize the services of a reliable 3rd party logistics for maximum profits and efficient delivery. Well! Shiprocket is here as a one-stop shipping solution for your Amazon order fulfillment needs. Amazon’s shipping rates for even a small parcel can be a huge burden for small sellers. This impacts the profit margins on a product, therefore hampering the growth of a business. However, 3PL services like Shiprocket can offer the lowest rates for shipping your orders across the country. These low shipping rates are from reliable courier partners such as FedEx, DHL, Delhivery etc. So, on the one hand, you are saving much more on your shipping costs and on the other side providing yourself with an opportunity to grow. Amazon’s logistics network might be efficient, but never better than the support of multiple courier partners that you can choose at Shiprocket. Even if the serviceability of one of the courier partners is hampered, there is a choice of more than 13 logistics partners to opt from. Small sellers can compare the shipping rates and send by the most cost-effective options and enjoy the flexibility in shipping. What if your courier partner could predict your return orders? An AI supported platform with features like this can help in growing your business. This is especially important for small sellers, who can’t find the means and tools to take their business to the next level. 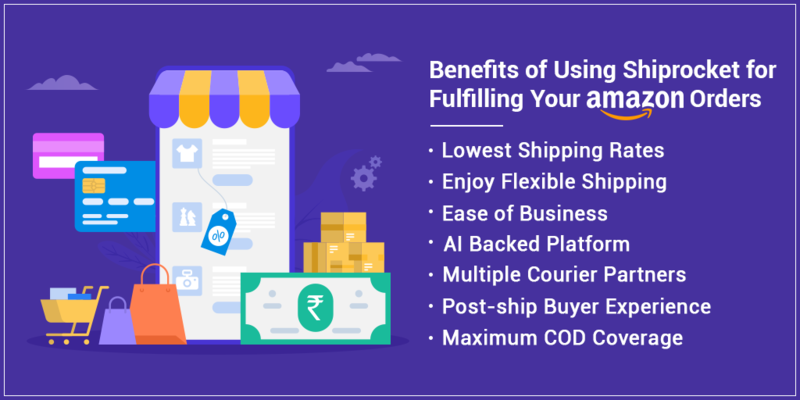 Shiprocket’s automation platform can single-handedly help small and medium enterprise owners to expand their business and form an efficient shipping strategy. One of the best features that you can utilize for your business is the courier recommendation engine at Shiprocket. As you opt for Amazon’s self-ship program, choosing the best 3rd party logistics service can be tricky. However, Shiprocket’s CORE is an ML-based algorithm that can assign a courier partner from more than 13 options, depending on your shipping priority. So, if you want to ship with the lowest cost courier company, CORE will present the best one at your disposal. 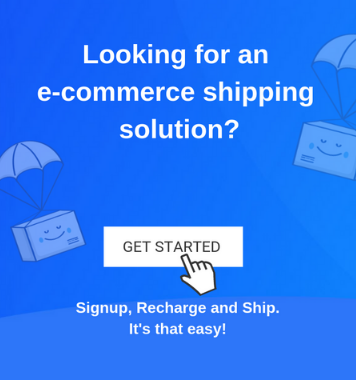 You can also integrate your Amazon account with Shiprocket in a few easy steps and enjoy hassle-free shipping experience from a single platform. If you’re still shipping with Amazon, you must reconsider your options. Amazon can help reach more extensively to customers because that’s what it is made for- helping you sell. However, when it comes to shipping you must leave it to the shipping experts- that’s us! We’ll help you maximize your profit margins and deliver your Amazon orders efficiently to your customers.